Fitnessform boasts products that are carefully engineered for effectiveness and durability by some of the UK’s leading trainers, doctors and athletes. Their Fitnessform P1100 Cross Trainer Bike is unique among hybrid cross trainers with its unique computer monitor. Unlike other monitors, it has a designated window for each data, allowing you to see all your statistics simultaneously. Aside from that, this multifunctional fitness equipment has a lot more to offer – keep on reading to find out! 2 Years Warranty on Frame + Parts. Even if you have limited space in your house, it’s still possible to build your home gym because of compact fitness machines. 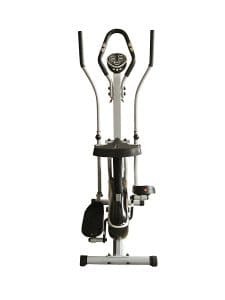 The Fitnessform P1100 Cross Trainer Bike is a perfect example as it only measures 98cm in height, 23cm in with, and 45cm in length, making it fit for any home gym, even if your space is at a premium. This cross trainer bike is also very lightweight at only 30kg, but it can support a maximum user weight of 110kg, so you can still assure that it’s safe and stable. 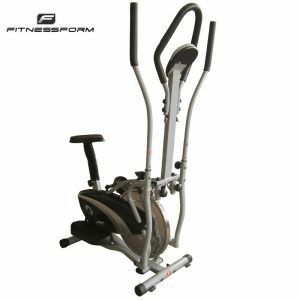 The Fitnessform P1100 Cross Trainer Bike provides you with two different low-impact cardio workouts that are gentle to your joints, unlike other machines such as a treadmill. 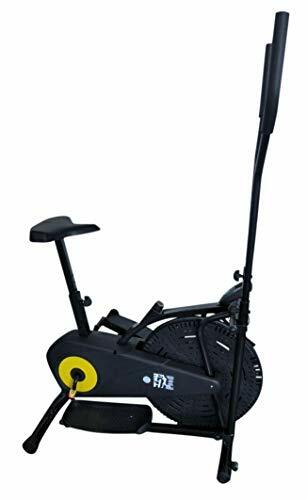 It has two handlebars, the multi-action swing arms which can be used to tone and shape the muscles in your arms while working out your lower body, and the oval stationery handles that you can hold onto when using it as an exercise bike. Both handles are adjustable so you can exercise in your most comfortable position and be able to maintain the proper posture. Heart rate sensors are also integrated on the fixed handles so you can easily keep track of your vital statistics. No matter what your height is, you will be able to maximise each workout session with the Fitnessform P1100 Cross Trainer Bike. The seat can be adjusted vertically to make it proportionate to your height, and it can also be adjusted horizontally for a perfect distance from the handlebars. It also has wide foot pedals that are non-slip for your comfort and safety. This multifunctional exercise machine has a 5.5kg flywheel that doesn’t only make your workout more challenging but also helps the machine remain stable. It has an adjustable resistance knob where you can add some intensity to your workout. Even though this cross trainer bike is lightweight, it can still be heavy for some people to lift. Thankfully, it has built-in transport wheels that make it easy to move from room to room. 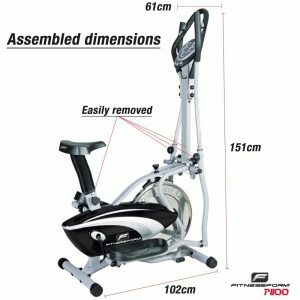 Aside from that, the Fitnessform P1100 Cross Trainer Bike only takes a few minutes to dismantle if you want to keep it out of sight when it’s not in use. When I compared my heart rate on my fitness tracker and the monitor of this machine, I found that they’re not similar, although they’re quite close. If you’re particular about keeping track of your heart rate, I suggest you purchase a fitness tracker as they are helpful not only when working out but also with simple daily activities. Still, the Fitnessform P1100 Cross Trainer Bike can provide you with an effective workout as the pulse sensors won’t affect its overall performance. 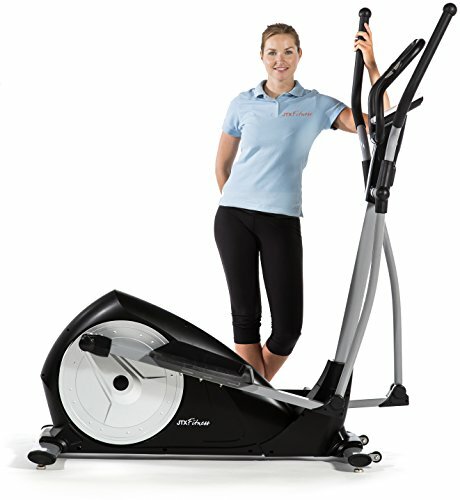 The Olympic 125 Elliptical Cross Trainer Bike another budget multi-function fitness equipment. It’s made of a pure black tubular metal frame, and it supports a maximum weight capacity of 100kg. As an entry-level equipment that favours beginners, it doesn’t offer any advanced features making it easy to use. It has a soft seat, and it works smoothly without making too much noise. The monitor on this equipment is basic, but it shows all your stats such as speed, time, distance, calories burned and scan. 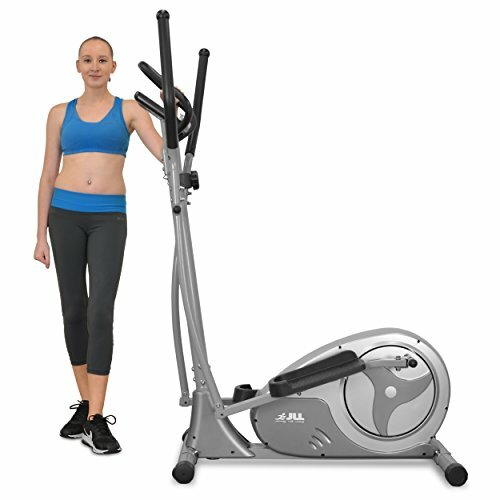 The JLL CT300 Elliptical Cross Trainer is a compact fitness machine that can fit in the smallest spaces because it’s only 120 x 61 x 167 cm and it only weighs 35.9 kg. It can support a maximum user weight of up to 100kg, and it has dual-action handlebars that are covered with sweat resistant foam grips. 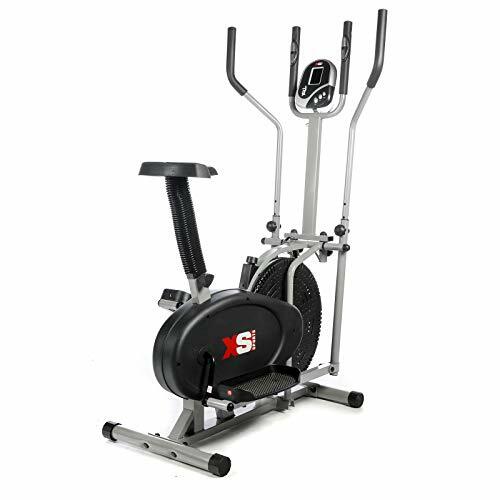 This cross trainer has a 5.5kg flywheel with eight levels of magnetic resistance that will help you improve your fitness level, especially if you’re a novice user. JLL CT300 Elliptical Cross Trainer Detailed Review? CLICK HERE. The XS Sports Pro 2-in-1 Elliptical Cross Trainer is the bestseller among the hybrid cross trainers in the market. It gives you an excellent value for your money because it’s a high-quality equipment that’s offered at a budget-friendly price point. With a maximum user weight of 110kg at just a weight of 29kg, its quality is almost similar to more expensive models. Plus, it already comes with built-in pulse sensors as well as a large comfortable saddle and wide pedals for the cross trainer. If you can afford to buy an upper mid-range fitness equipment, I highly suggest the JTX Strider-X7 Magnetic Cross Trainer. It offers a lot of advanced and useful features such as 21 built-in programs, 16 resistance levels, and a coloured touchscreen computer. These features can all help you to improve your fitness level whether you’re an advanced or novice user. 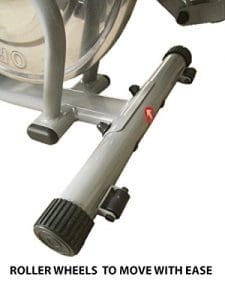 This cross trainer can support a maximum user weight of 110kg, and it also comes with a guarantee of 5-year frame warranty and a 2-year in-home repair warranty. 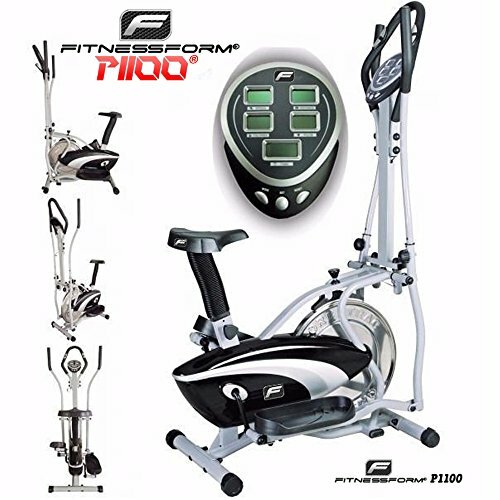 If you’re seeking for a low-impact yet effective cardio workout, the Fitnessform P1100 Cross Trainer Bike is an excellent choice. It’s a 2 in 1 fitness equipment that saves your valuable personal space at home, and it’s cost-efficient as you won’t have to purchase to different machines. It may have some faulty issues, but the overall quality and performance of this cross trainer bike make it a bargain for its given price point.